Robert Trussell from the KC Star previews A Very Accidental Holiday opening this Sunday (Nov 27th) at Lidia’s Restaurant. The Living Room and Lidia’s have joined forces again to present a unique form of theater. “A Very Accidental Holiday,” a celebration of silent cinema, begins performances Sunday in the upstairs banquet room at the Freight House District restaurant. The family show is a follow-up to “The Accidental Waiter,” a physical-theater piece conceived by Alex Espy and Matt Weiss that was performed twice earlier this year at Lidia’s. In the show, a hobo clown steps off a train and wanders into the restaurant, hoping to score a free meal. The piece was later expanded and restaged with Damian Blake, a skilled Charlie Chaplin impersonator, as the hobo. In the new show, a traveling family is stranded on Christmas Eve, circa 1924, and finds its way to the restaurant, which has been closed for renovations. There our frantic Chaplinesque hero does all he can to create a memorable Christmas morning for the travelers. Joining Blake are Annie Cherry, Coleman Crenshaw, Megan Secrest and, returning as the restaurant manager, Alan Tilson. Performances are scheduled at 7 p.m. Sunday and Monday and at 2:30 p.m. Dec. 3, 10 and 11. Tickets cost $20. For reservations, call Lidia’s, 101 E. 22nd St., at 816-221-3722. A Very Accidental Holiday is coming soon! It is Christmas Eve 1924, and Lidia’s restaurant is closed for renovations. But what happens when a snowstorm hits Kansas City, and all trains stop running? Everyone is left to spend the night at the restaurant, while our hapless hero works through a frantic evening to create a memorable morning for one stranded family. 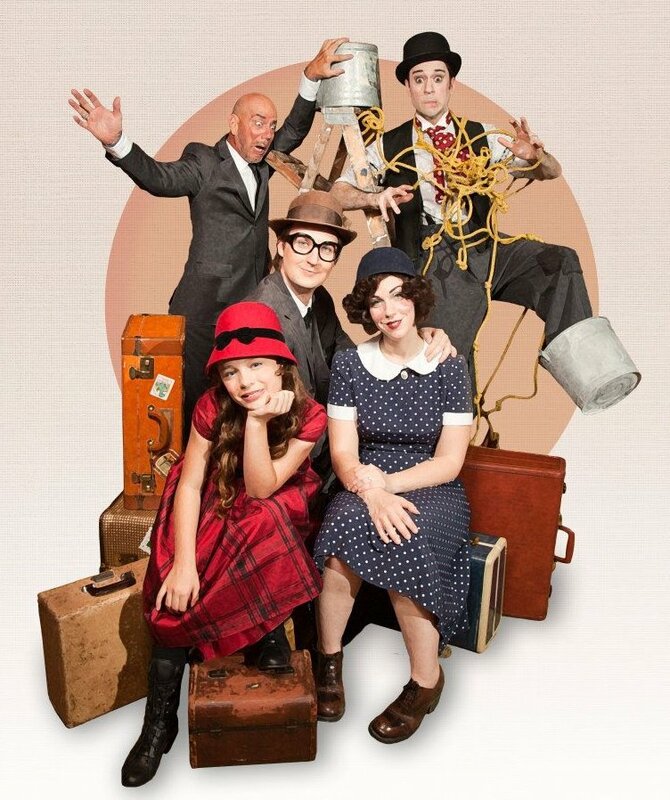 Lidia’s restaurant and The Living Room Theatre continue their Accidental Waiter Series with A Very Accidental Holiday, another original “ode to the silent movies” tale for the entire family that reminds us home truly is where you make it.